In any electrical system power system, instrument transformers forms part of main components in metering (reading instruments, recording instruments, tariff systems), protection and control system applications. Voltage and current are main electrical analog quantities from which all other analog quantities are derived and used in various metering and protection applications (like measurement of frequency, power factor, active/reactive power, energy, and protective relays which are based on voltage and current inputs). Some quantities like frequency can be derived from either current or voltage in steady state condition (however for frequency measurement voltage is most commonly used since the required level of voltage is available almost always excluding during faults). Almost all metering, protection and control devices are handled by the personnel and need human interactions. However, the voltage and current as it is in the electric system most of the time cannot be used for these applications due to the level of voltage and currents are much higher than the safe values and it is much easier to deal at low energy. Accordingly, these devices are designed for lower Voltage and current levels which can be relatively made safe for qualified personnel in these industries (with or without PPE). 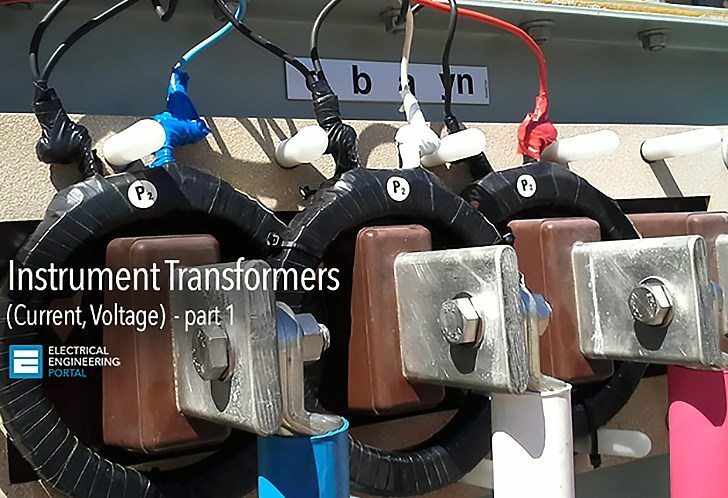 Voltage transformers (VTs) and current transformers (CTs) are therefore used to transform the power system (called the primary system) voltage and currents to the level required for these applications (called secondary systems). Some cases CTs and VTs are used just to provide galvanic isolation from one system to other (isolating transformers, input transformers etc). I could not view nor download the file from box. Please review. Thanks. I could not download the file. It directed me to “Box” and indicates that it is not able to view the file (.zip or .rar).